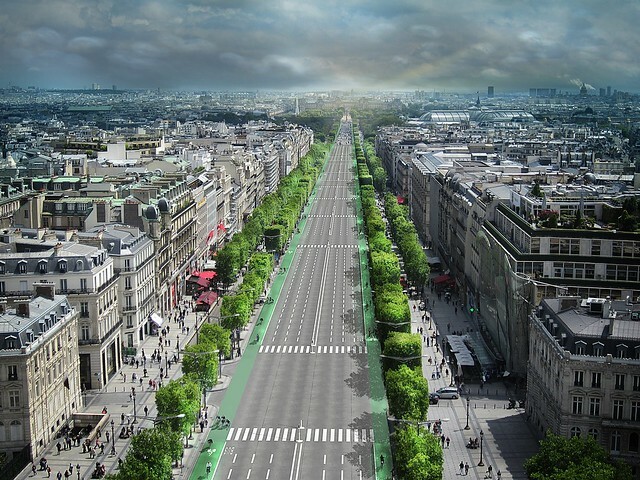 I'll be speaking in Paris today - 21 November 2015 - about bicycle urbanism and lessons to be learned from Copenhagen. 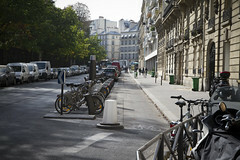 Paris has declared that it aims to be the world's best bicycle city in the world by 2020. This is simply not possible with the current sub-standard understanding of Best Practice infrastructure. 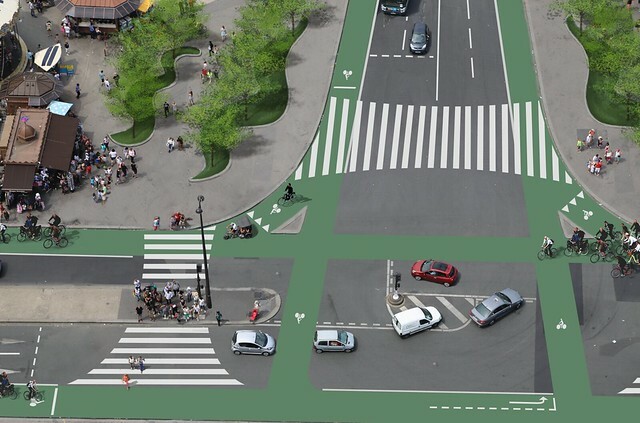 The current Mayor Anne Hildalgo, has some good ideas, which we've reviewed here, but until the City understands the basics of bicycle infrastructure, not much is going to happen. While there are good examples of the City employing Best Practice infrastructure (above left) there are still strange things imagined in the heads of engineers and planners who have little idea of how to do it. Like the weird bi-directional stuff you see like above, right. 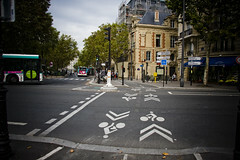 Or using bus lanes as bicycle lanes on long boulevards where buses can get up to speed (above, left), or strange turn lanes like atabove, right. Best Practice has been established. It's ridiculous to try and reinvent the wheel. Copy-paste. It's that simple. It's all so simple. Paris should realise that. 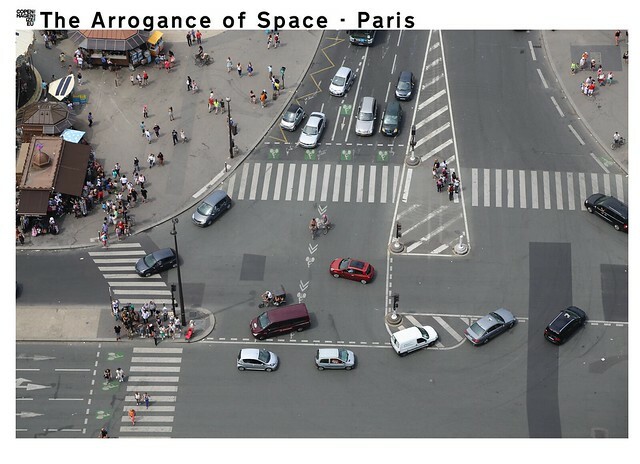 We have covered The Arrogance of Space related to Paris in this article. 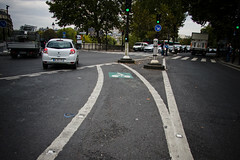 Using as an example the intersection, above, below the Eiffel Tower. You can see the Arrogance of Space in that link. But what would it look like if proper infrastructure were applied? Safer, better, more modern. 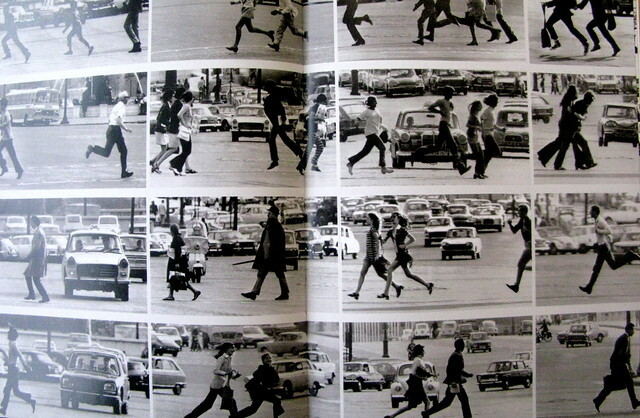 A total redemocratisation of the urban space. 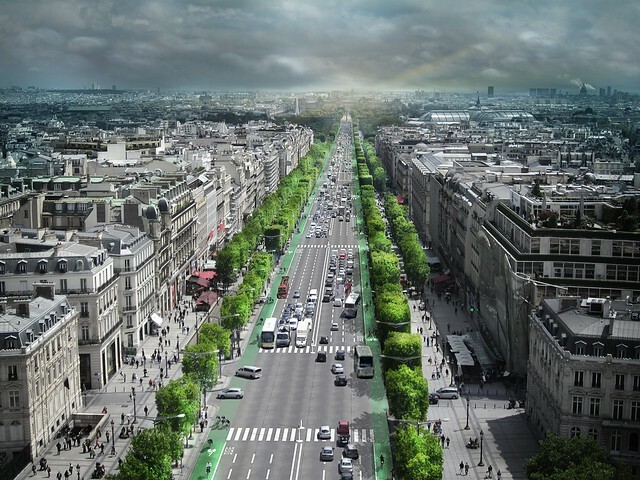 Benefiting pedestrians and cyclists and taming the most destructive force in cities - the automobile. This is designed for humans. Not engineered for cars. It's simple if Paris wants it to be. If they dare to do it. 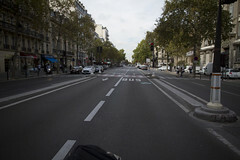 Without this kind of redesign, they will do little for modernising transport in the city.